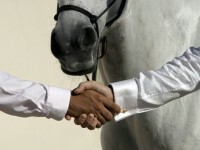 Learn to communicate to horses in their language. Learn about how horses behave in a herd and as individuals and the reasons they react and act in the way they do. Fun and empowering, this course will help you increase your confidence and develop a closer understanding of horses.